The Global Warming Policy Foundation (GWPF) has welcomed the BBC’s reprimand for one of its science presenters who started a political campaign against Graham Stringer, Labour MP for Blackley and Broughton and a member of the GWPF’s board of trustees. Dr. Adam Rutherford who presents the weekly BBC Inside Science programme on Radio 4 recently organised a campaign against Graham Stringer in protest against his selection to the House of Commons Science & Technology Committee. On social media, Dr Rutherford called on his readers to show ‘righteous indignation’ and to complain about Stringer in letters to their MPs. 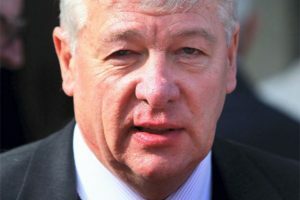 In response to an official complaint, Tony Hall, the BBC’s Director-General, asked the Head of Editorial Standards for BBC Radio to look into this affair. Dr. Adam Rutherford is a scientist and freelance journalist, who presents the weekly BBC Inside Science programme on Radio 4. He also writes for a number of journals and comments on scientific matters often via his own social media accounts. These are not under the control of the BBC nor do they form part of any BBC output. As a scientist Dr. Rutherford might be expected to discuss any number of science issues, and the composition of the STC and its deliberations, are a legitimate area for Dr Rutherford to report and comment on. However, any BBC presenter, freelance or otherwise, needs to consider how their outside comments might impact on the work they do for the BBC. On this occasion, in my view, Dr. Rutherford’s comments on Twitter potentially compromised the BBC’s impartiality on this issue. Furthermore I acknowledge that as part of the twitter stream, Dr. Rutherford invited the chair of the committee onto the programme, and this might have given the impression that Dr. Rutherford was speaking on behalf of the BBC. I have met Dr. Rutherford and his Editor, and made these points clear to him. I have further advised him on his responsibilities when using social media. Although he is entitled to his own views, he must consider if any tweets (or other publications) might compromise his work as a BBC presenter. He has accepted my points and regrets this particular Twitter exchange. He accepts that he needs to consider carefully how his other published views might impact on his BBC work, and if necessary take advice from his editor at the BBC. The matter has been further escalated to the Head of the production department, who will also speak to Dr. Rutherford, and monitor the situation from now on. The composition of the STC and its work remain a legitimate area for Inside Science to cover. I can assure you that any coverage of this issue on the programme will conform to the high standards of fairness and impartiality listeners have come to expect. “I appreciate the BBC’s swift and appropriate response to my complaint. I have been a member of the Science and Technology Committee for 10 years. I have a degree in chemistry and have worked as a scientist in industry for a decade.